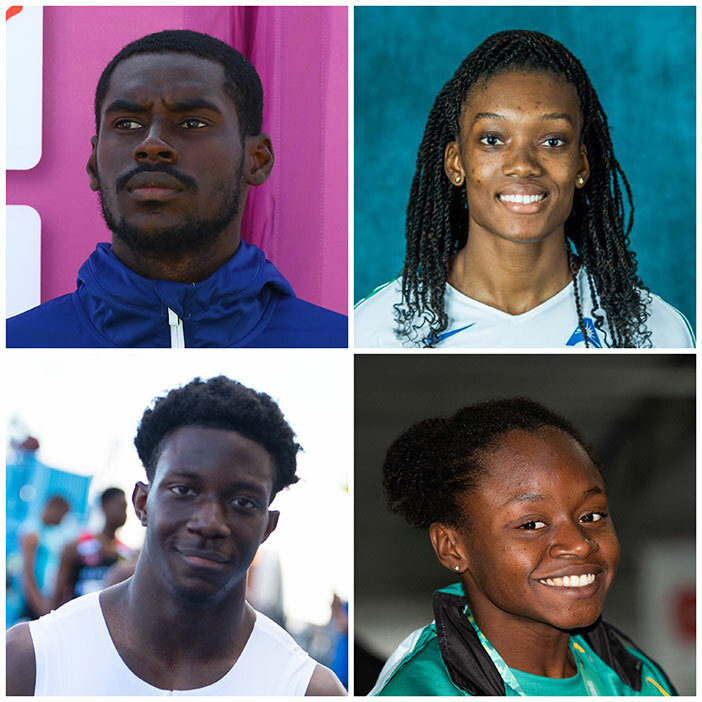 Before Island Sun Sports dives into the year in review, we take a look at the four most outstanding sportsmen and sportswomen of 2018, senior athletes Kyron McMaster and Sharonda Pickering and Junior athletes Rikkoi Brathwaite and Elinah Phillip. Except for a few niggling injures, McMaster’s sophomore year as a Senior athlete saw him adding more hardware and accolades to his trophy case. He garnered four of the five most important track and field titles at stake in the 400m Hurdles—the Commonwealth Games, Central American and Caribbean Games, NACAC Championships and the IAAF Diamond League trophy, while having the third best time of the year, when he stopped the clock at 47.54 seconds. The only competition in which he did not top the podium, was in the season ending IAAF Continental Cup, where he represented the Americas in the global competition. Pickering became the territory’s first Volleyball player to play in the NCAA Volleyball Tournament. She helped her team to the Atlantic Sun Conference Championship, its first since 2012. Then they won their first ASUN Conference Tournament in program history, and the right to the NCAA Tournament, where they upset the University of Central Florida Knights on their home court in the first round of the tournament, thus becoming the first ASUN Conference team to advance to the second round. Pickering ended her Sr. year at No 3 in hitting percentage in the NCAA system. Brathwaite pulled off a feat no other track and field athlete had ever done since the territory began competing in the Carifta Games in the Bahamas in 1976. He ended a 42-year drought when he won an U20 Boys 100m bronze medal in 10.46 seconds. He’s the territory’s only male athlete to have ever advanced to the U20 Boys 100m final, following up on last year’s accomplishment. Bratwaithe also became the territory’s first male athlete to automatically advance to the semifinals of the IAAF World Jr. Championships 100 and 200m. He ran 10.44 seconds for his semifinals berth, a time he also matched in the semis. He ran 21.22 seconds in the 200m semis, a time that got him to the semis, but he was later disqualified for stepping on the line. During a preseason meet in Indiana over the weekend, he won the 60m dash in 6.68 seconds, to break Dion Crabbe’s Indoor National Record of 6.72 seconds. Phillip became the territory’s most prolific Carifta Games medalist in any sport with three silver medals in the 50m Butterfly, 100m Freestyle and on her 18thbirthday, the 50m Freestyle, bringing her overall total to 10. She ended her Jr. career with a semifinal berth in the 50m Freestyle at the Youth Olympic Games. She also competed in the FINA World Cup short course, where she had a personal best of 27.31 seconds in the 50m Butterfly.